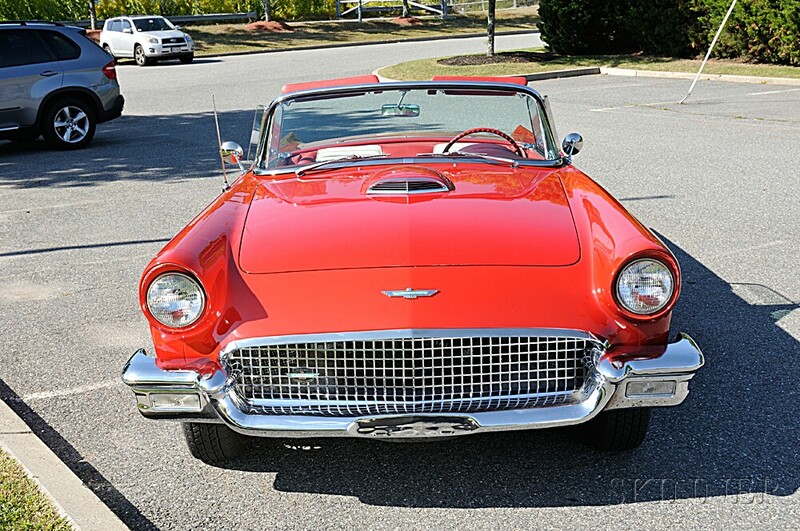 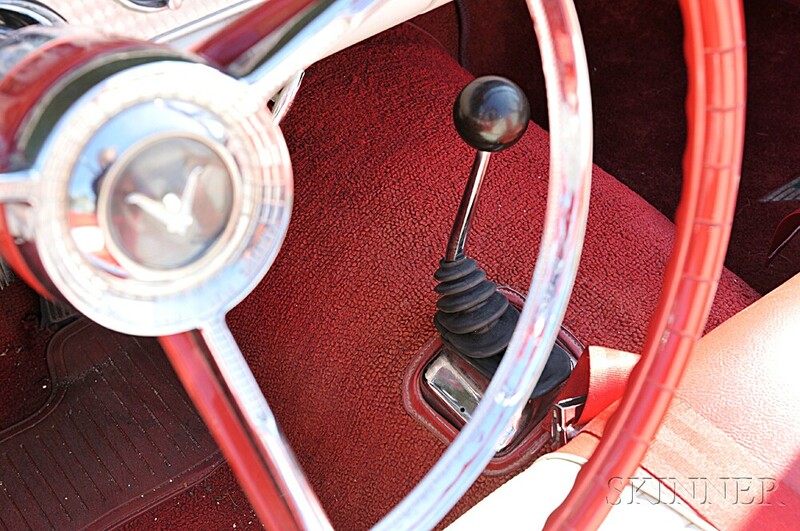 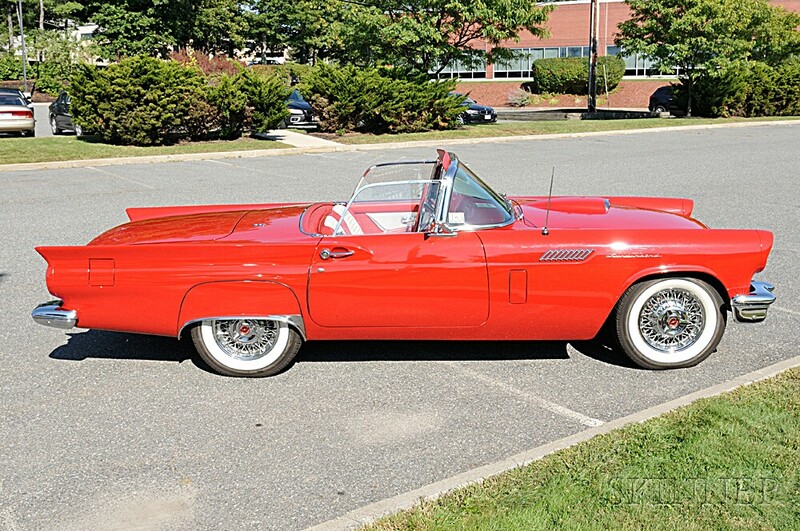 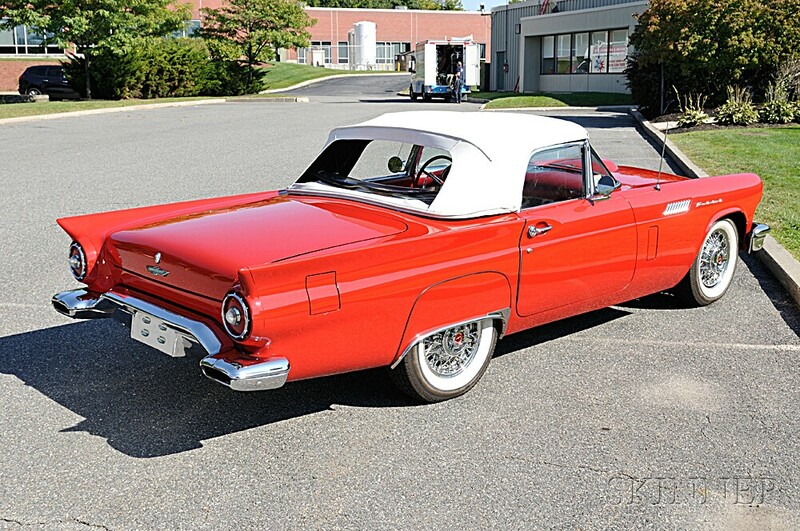 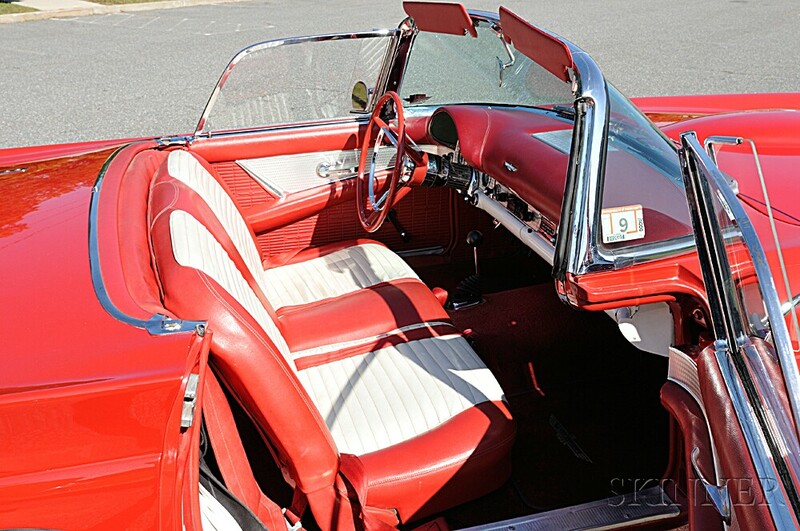 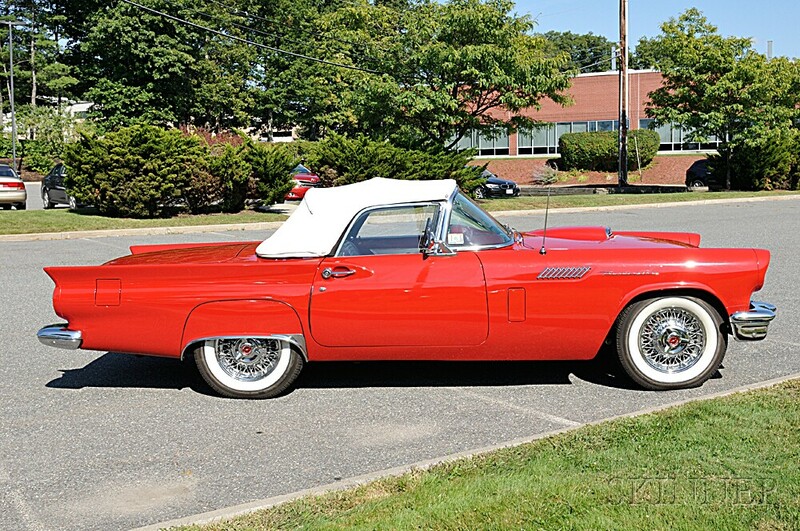 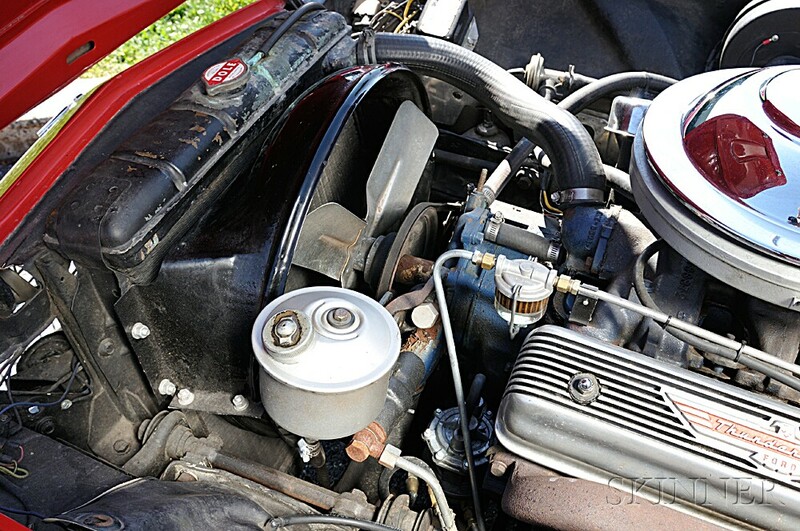 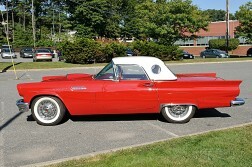 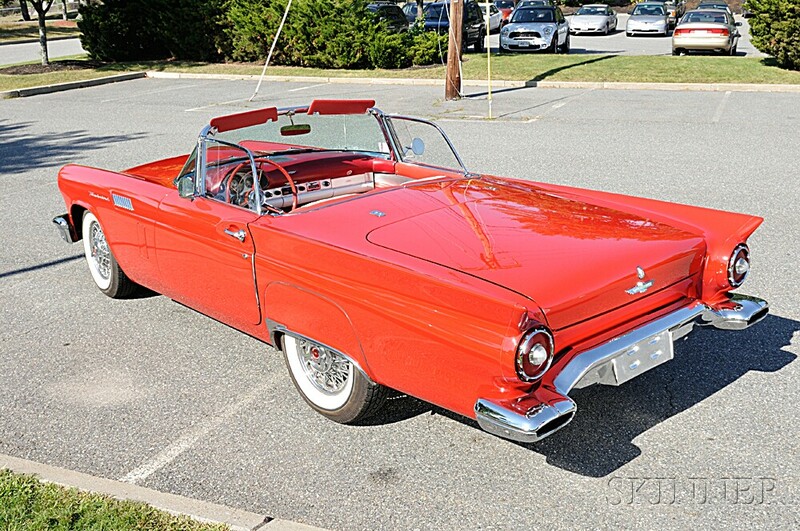 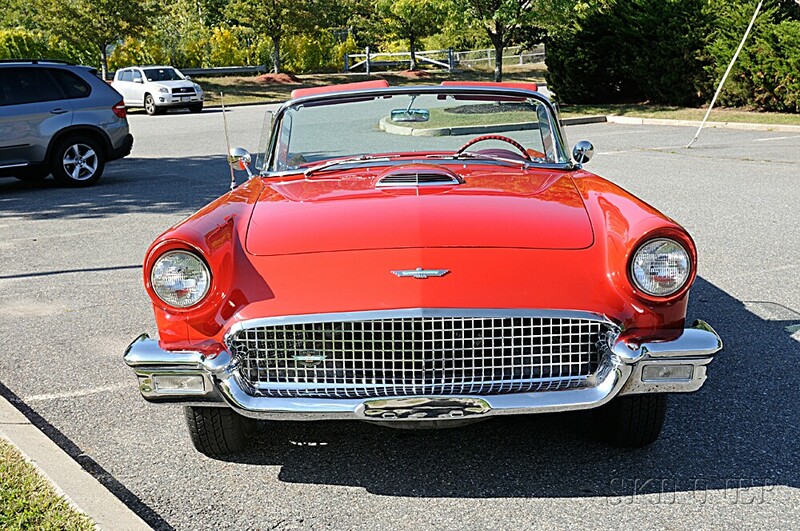 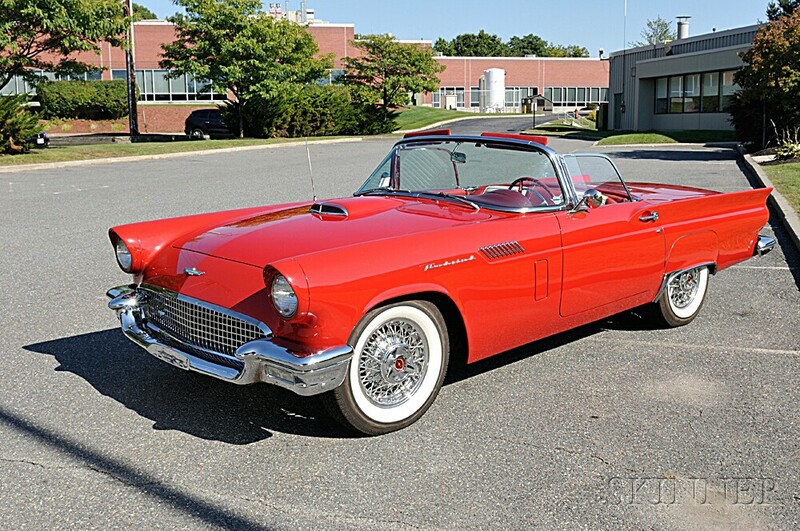 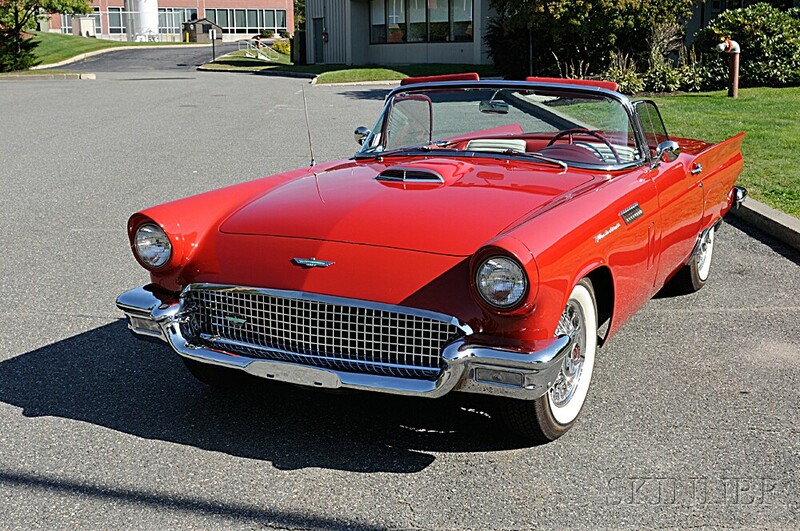 1957 Ford Thunderbird Convertible/Hardtop, VIN# D7FH120128, titled, odometer reads at cataloging 95,390, red exterior, red and white interior, white hardtop and after market white soft top, V-8, 3-speed on the floor, wire wheel, white walls, fender skirts, (restored), garaged. 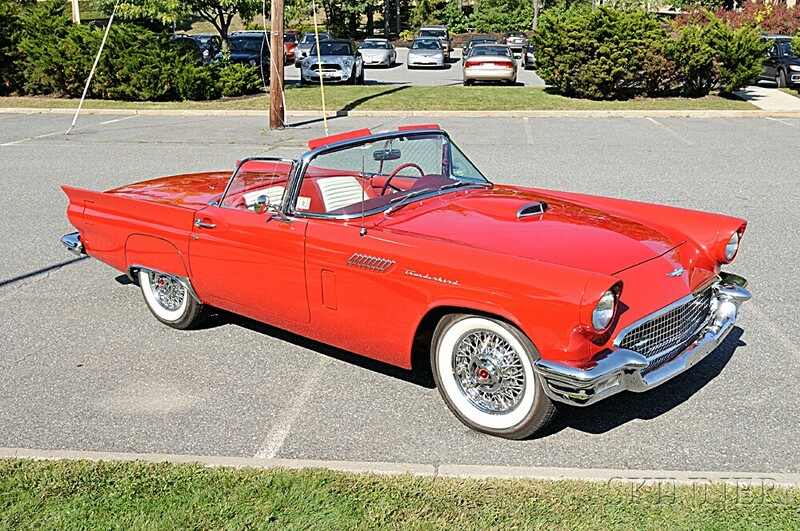 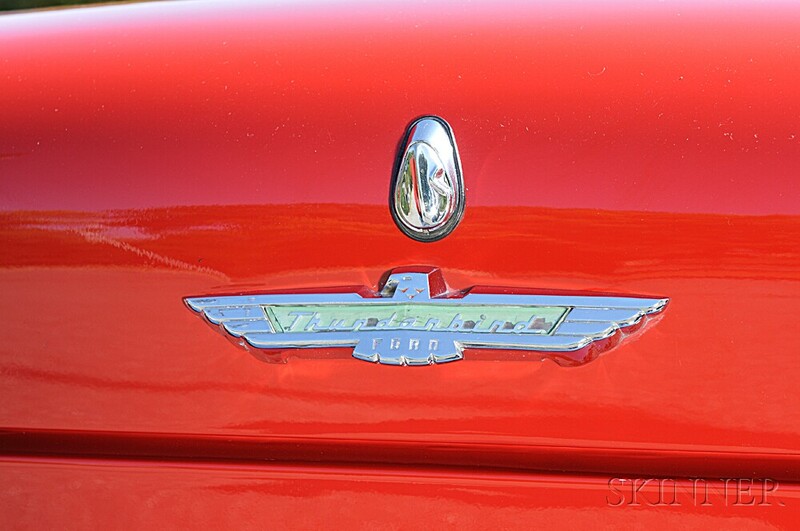 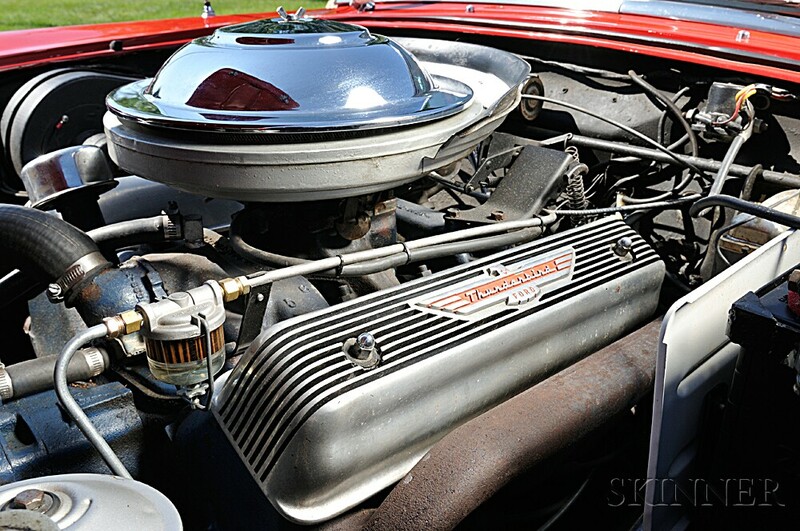 Note: Ford started producing the Thunderbird in 1955 to get into the already established European sports car market and to compete with Chevrolet's Corvette. 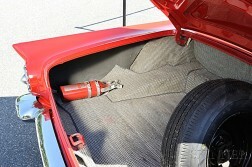 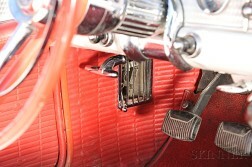 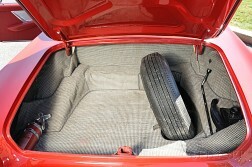 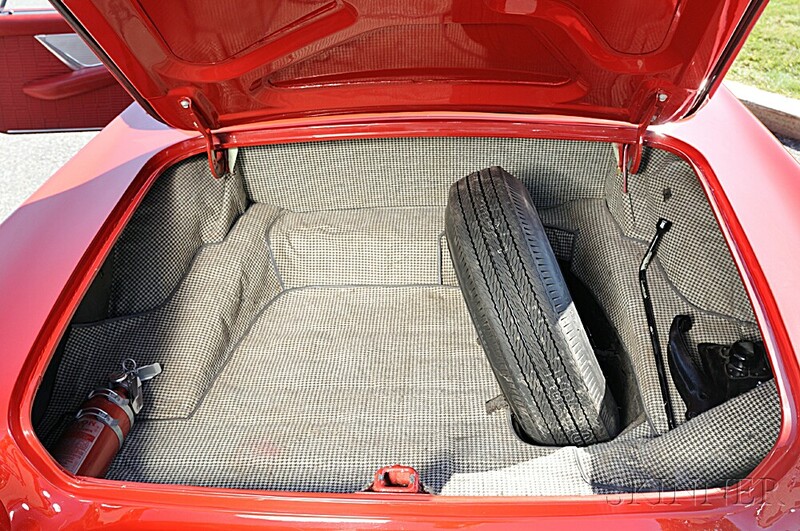 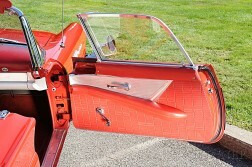 Touted as a personal car rather than a sports car, it had a bit more room than the 55-57 Corvettes. Sales were rapid. 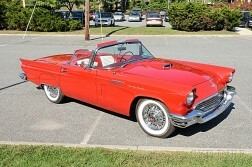 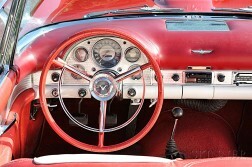 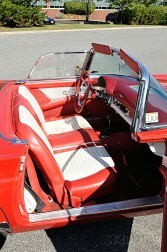 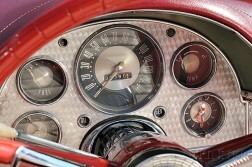 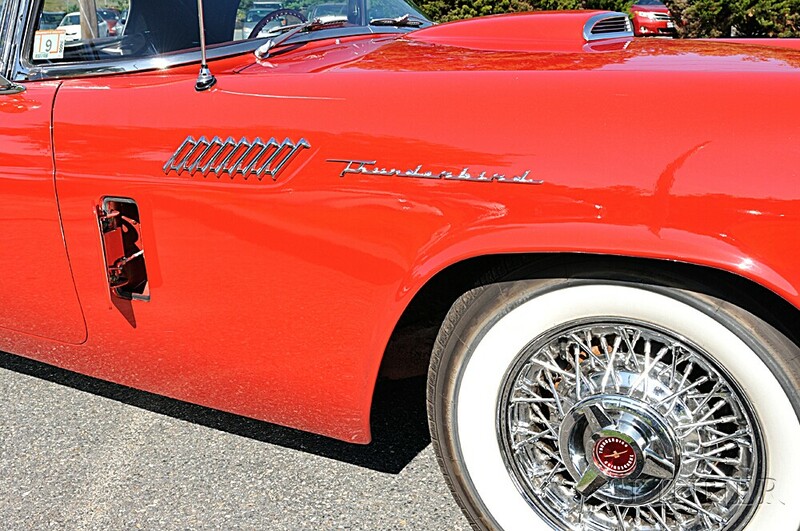 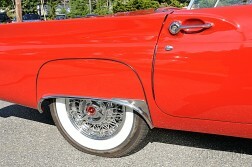 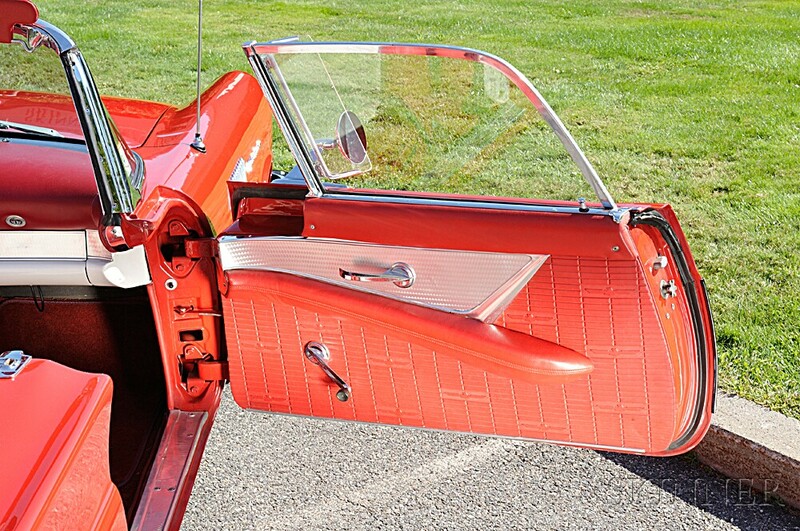 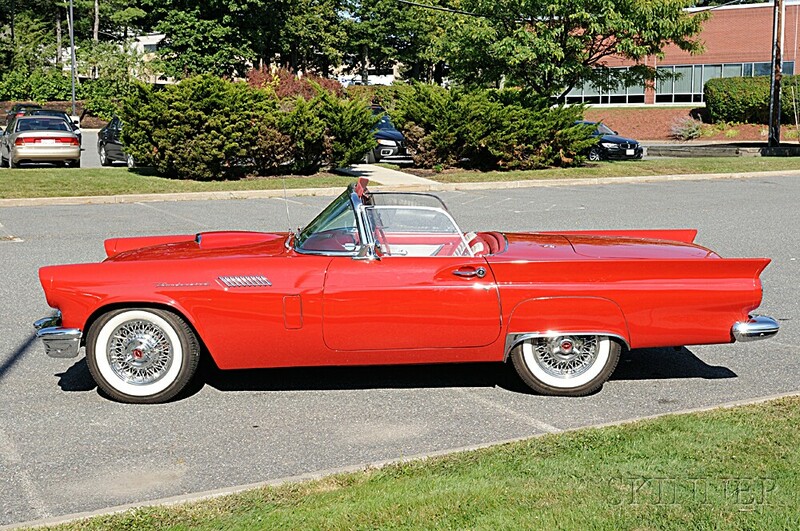 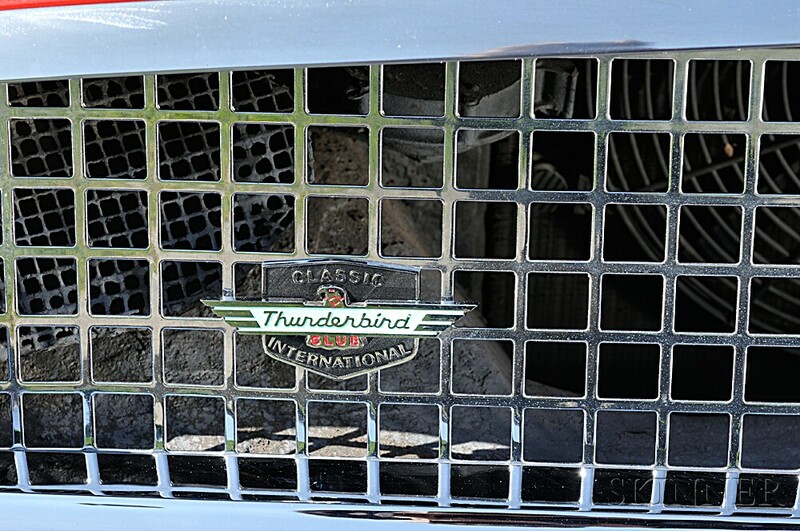 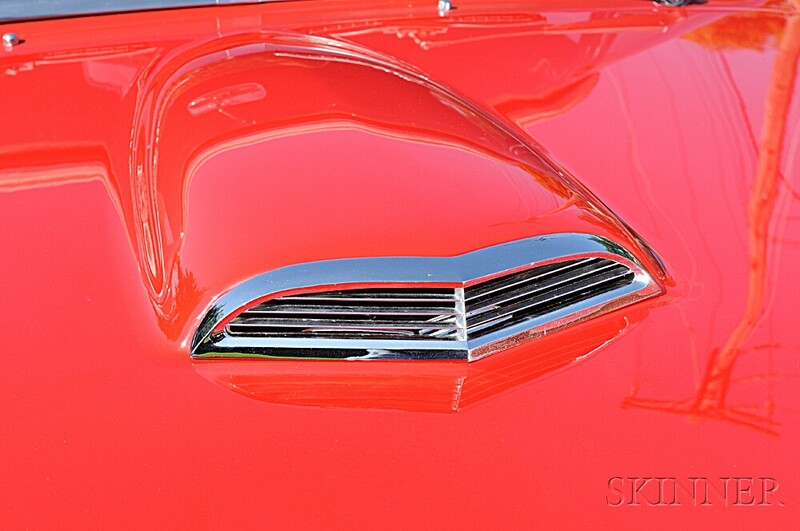 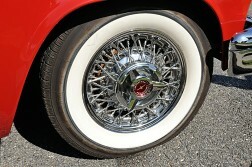 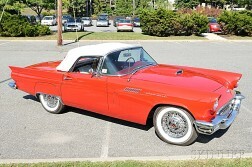 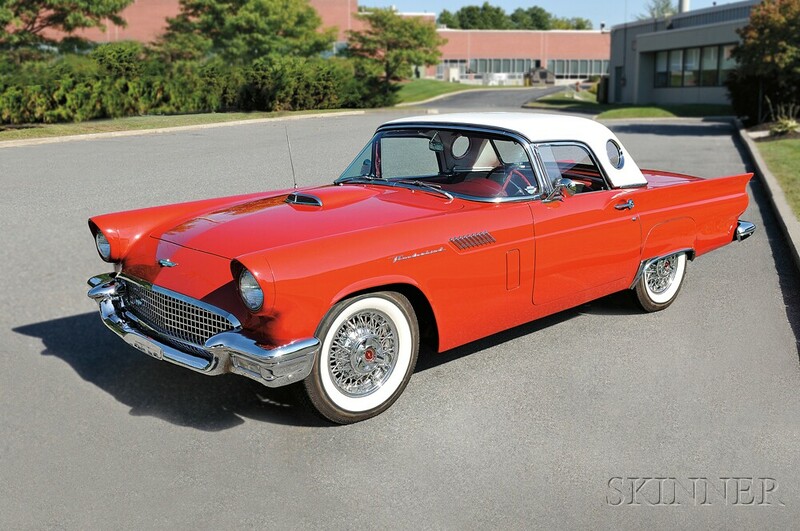 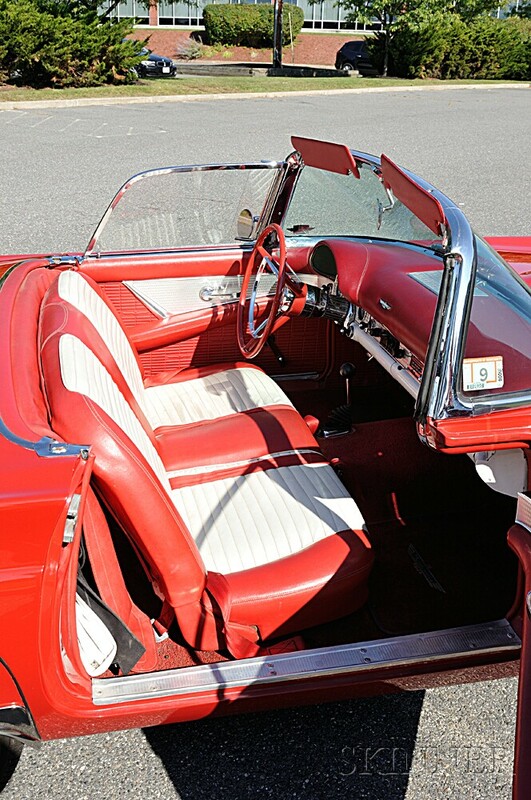 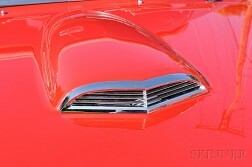 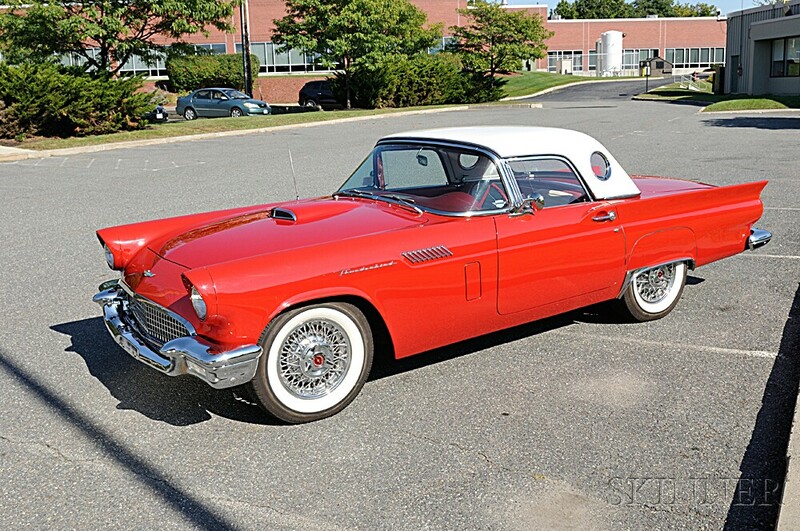 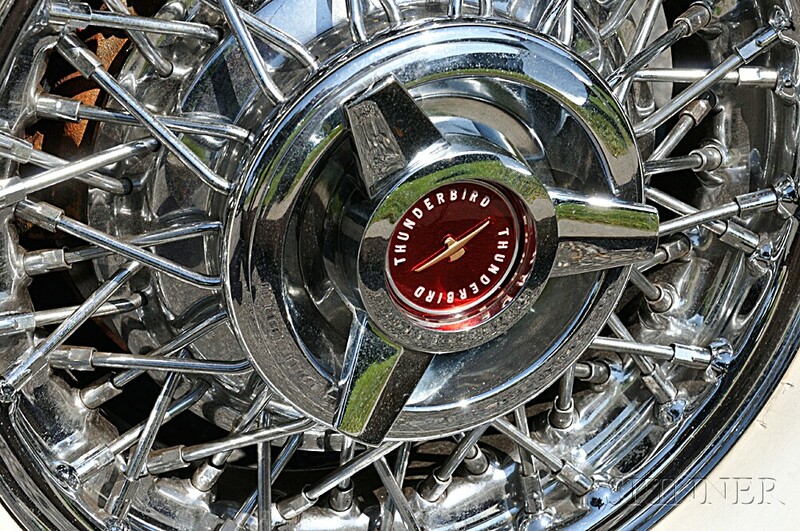 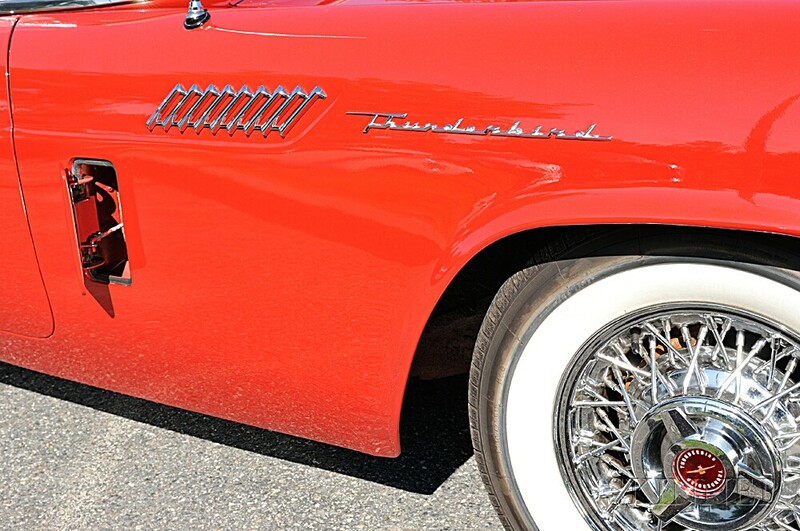 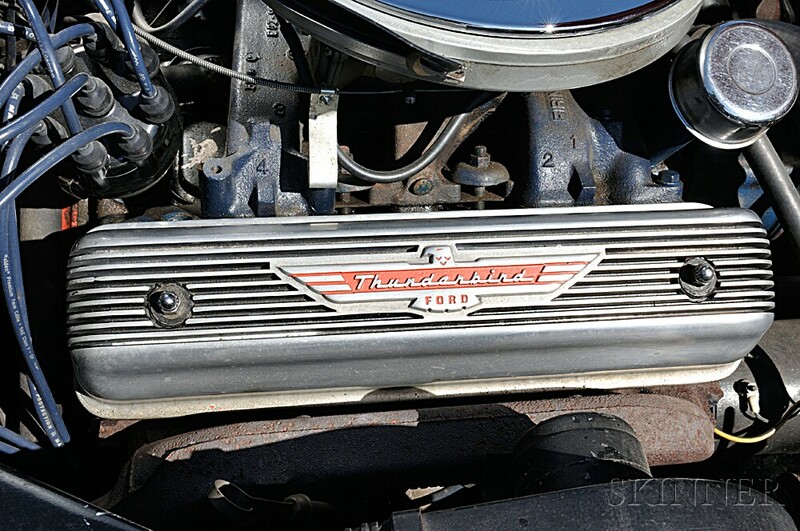 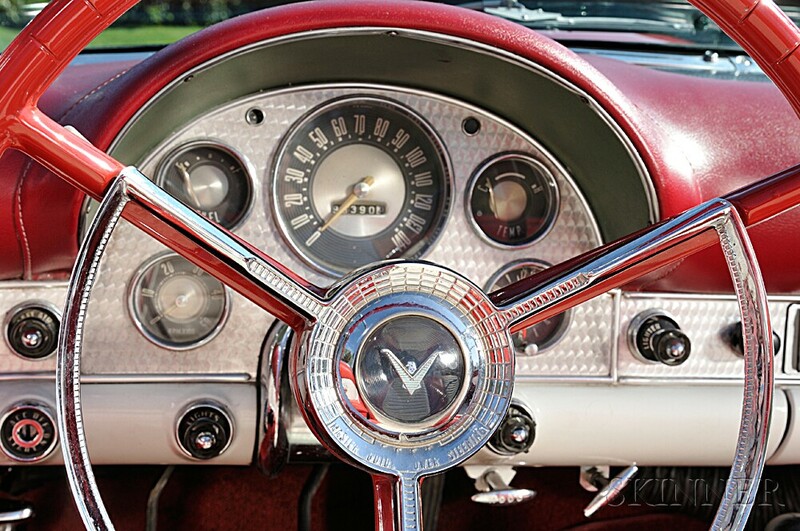 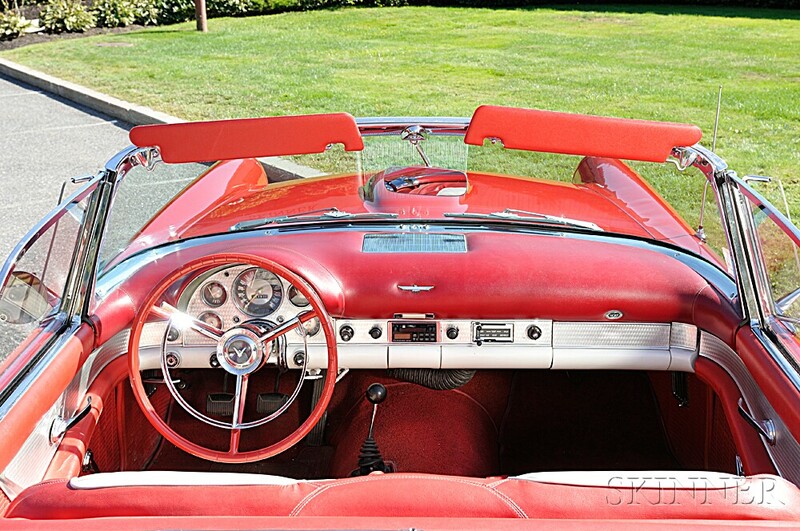 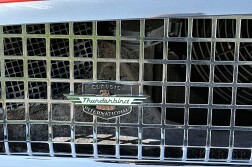 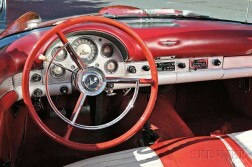 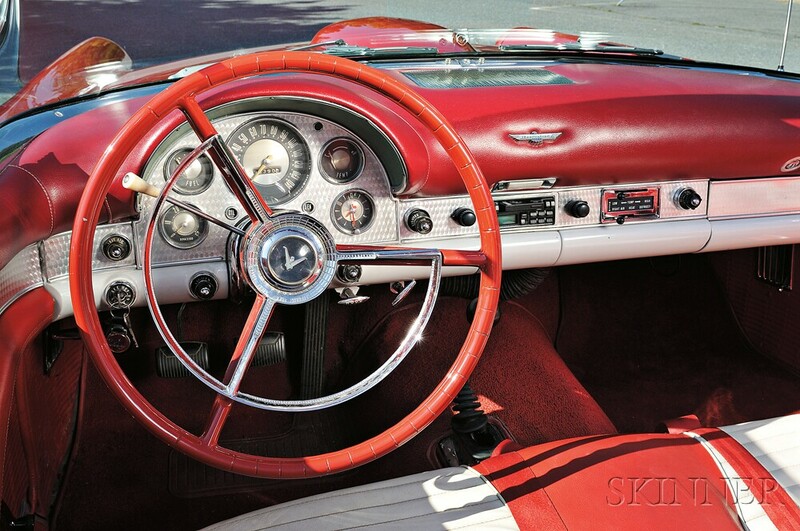 By 1957 the design of the Thunderbird was refined to include the removal of driving blind spots hence the porthole windows as seen on the 1957 hardtop. 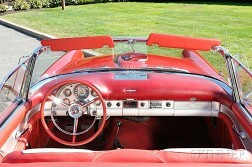 The back is elongated and the fins added. 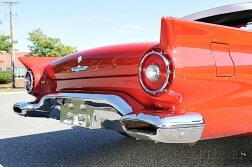 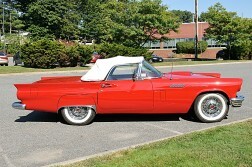 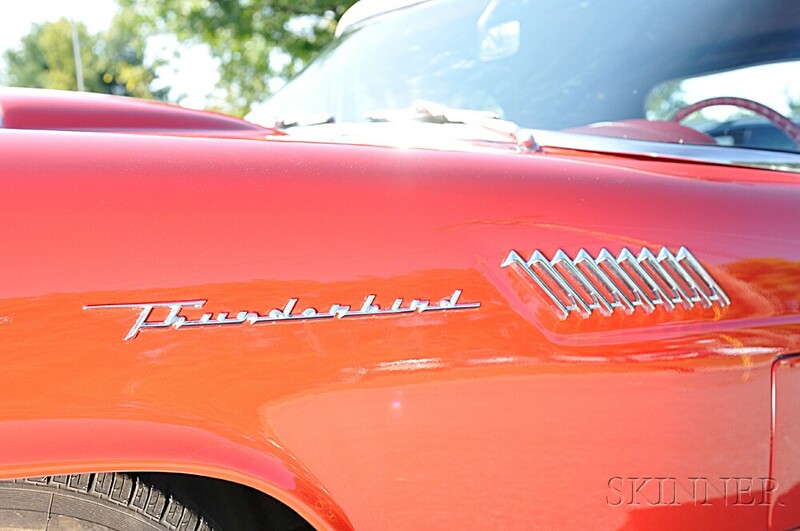 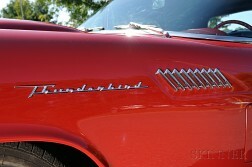 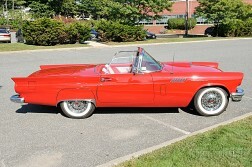 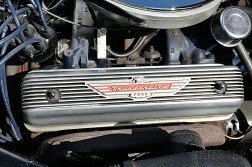 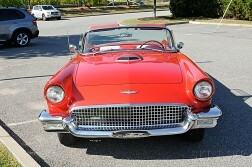 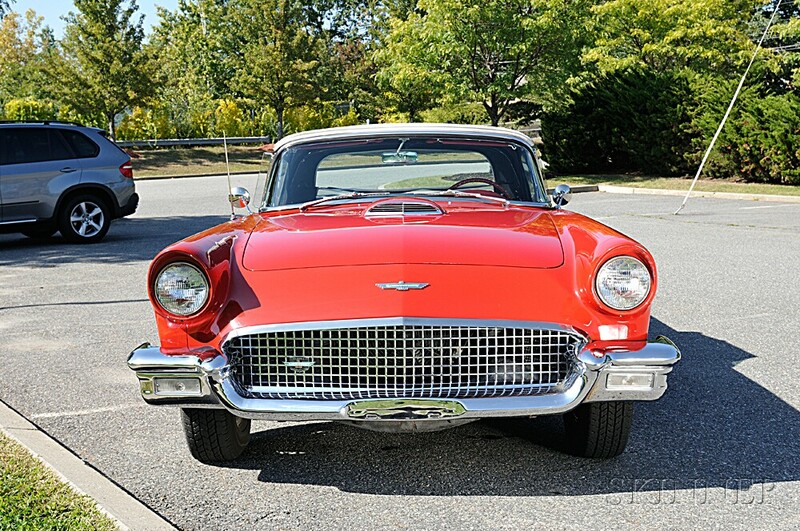 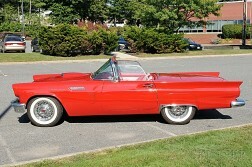 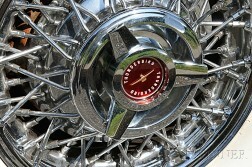 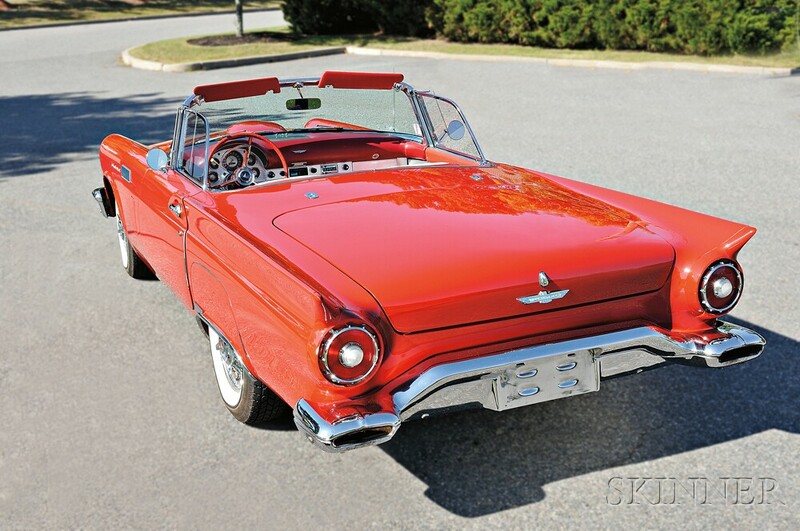 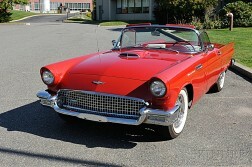 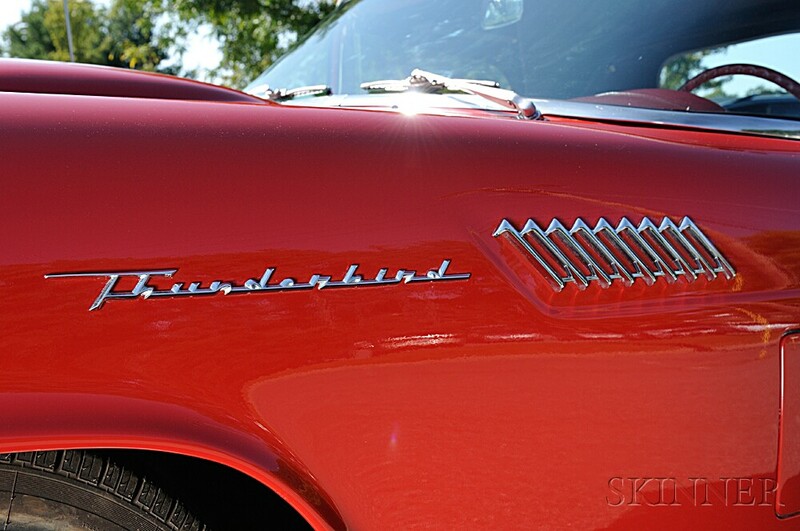 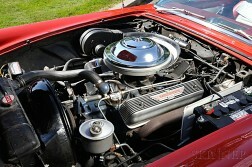 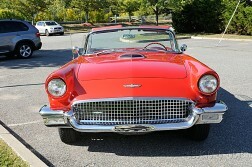 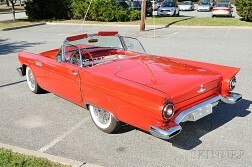 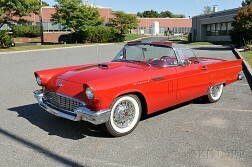 Today, the 1957 Ford Thunderbird is an instantly recognizable icon of 20th century American automobile design. 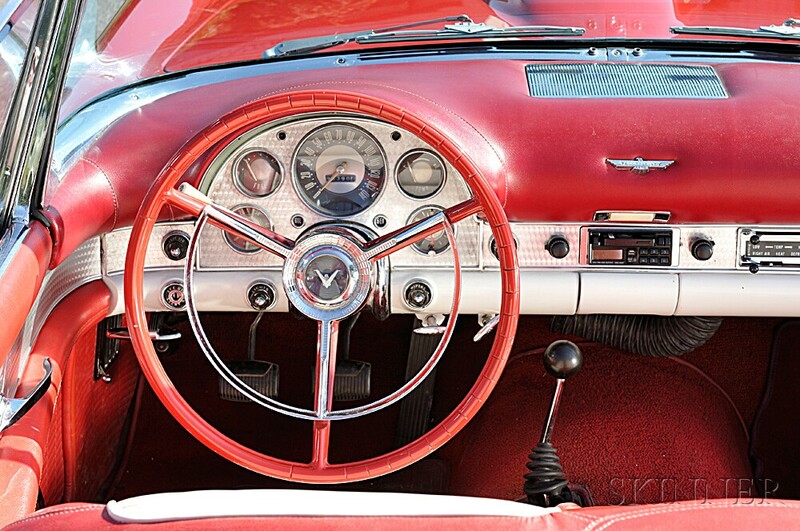 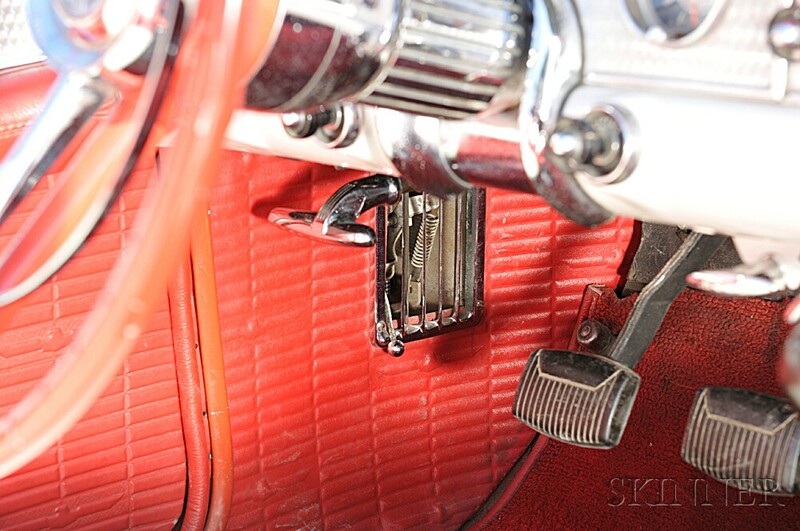 Skinner Inc. always recommends you have your mechanic or professional automobile restorer make an assessment of this car for you prior to purchase to assess if it meets your criteria. If you are a new buyer please contact the Finance Department prior to bidding.